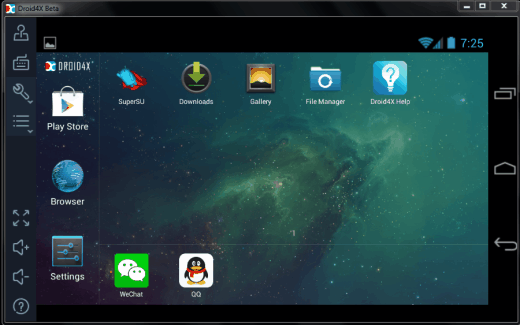 Droid4X is a simple-to-use program which allows you to have a virtual Android desktop on your computer while providing access to the Google Play store and all of the content associated with it. As a virtual desktop, Droid4X relies on VirtualBox to create an environment which emulates the ARM processor common in portable devices. Another useful feature of Droid4X is its ability to “trick” the Android GPS system and provide a custom location. You can also use Droid4X to browse the web if you’d like. Droid4X can also use your Windows PC as a remote control for your physical Android and iOS devices so you can control phone and tablet functions directly from your PC.